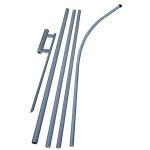 Our Advertising Blade heavy duty metal sectional pole is 15'. The top section of the pole has a curve to it for perfiect display of our Advertising blades. The bottom section of the pole has a reinforced insert and has a larger diameter, that makes our pole stronger than other poles offered by our competitors. Price includes pole only. 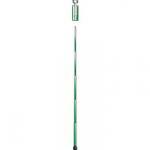 Our heavy duty ground spike is made of heavy duty metal. Just drive the ground spike in the ground and slip the blade pole into the ground spike. Save money by purchasing pole & grounds spike kit. 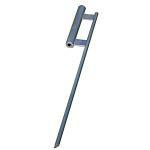 Our Advertising Blade heavy duty metal sectional pole is 15'. The top section of the pole has a curve to it for perfiect display of our Advertising blades. 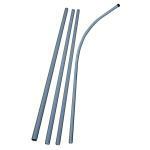 The bottom section of the pole has a reinforced insert and has a larger diameter, that makes our pole stronger than other poles offered by our competitors. Kit comes with a heavy duty metal ground spike. The tire mount is made of quality metal. Our 15' Advertising blade pole fits right into the tire mount. Just drive your vehicle tire onto the mount and insert your blade pole. Price is for tire mount only. Our flexible fiberglass telescoping poles come in many different lengths to meet your outdoor display of wind feathers or windsocks. Easy twist locking telescoping sections. 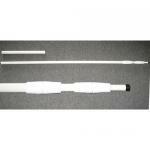 The fiberglass Wonder Pole is the strongest pole made. Can be adusted from 7' to 15'. Great for feather flags or regular flags, for the person that doesn't want to worry about wind. Comes with 12" ground sleeve. (This item requires oversized shipping. Once you place an order, we will contact you by email with exact shipping costs for your approval before we ship).